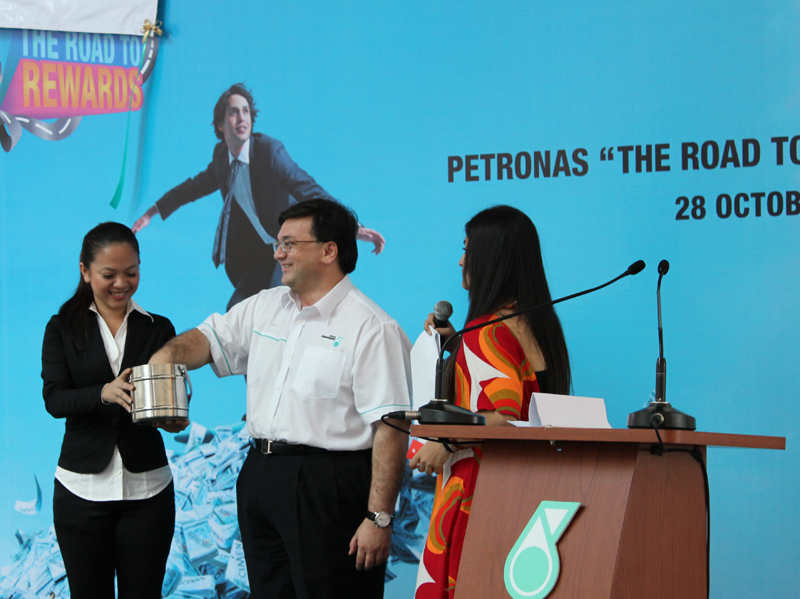 Plus Size Kitten: Petronas The Road To Rewards Launched! 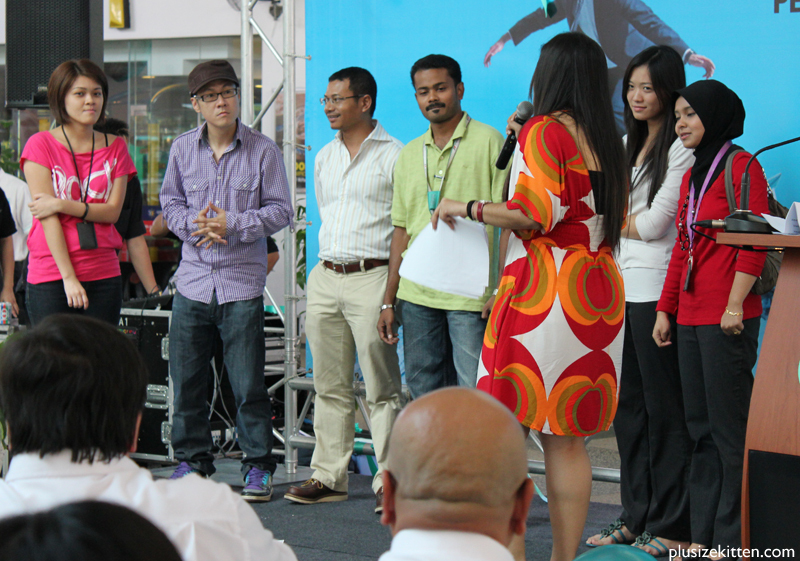 Yesterday (28.11.10) I was invited to witness the launch of a contest program aimed at rewarding its customers. Which customers? well those who pumps at Petronas of course! 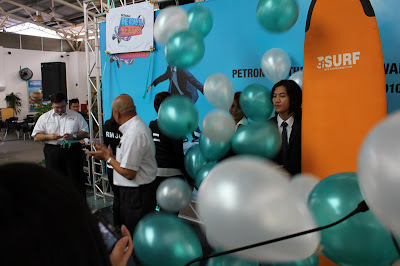 It was launched at the Petronas station at Ampang where media, bloggers and guests were invited. It's my first time attending a petrol company event and boy was I excited. Green and white balloons, colors of Petronas Dagangan decorated the stage above and I was watching them. 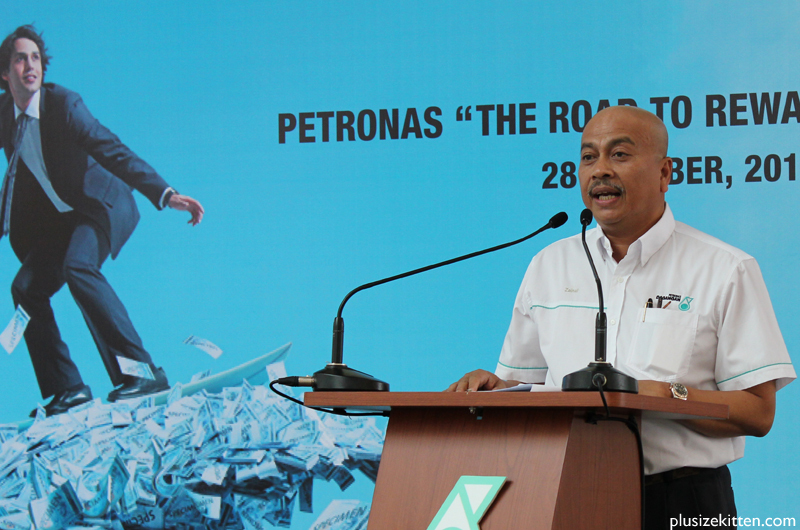 The ceremony started with an opening speech by Petronas Dagangan's General Manager of Retail Business Division, Encik Zainal Abidin Othman thanking everyone who came. He introduced the reward program, aiming to thank their loyal customers called the "Road To Rewards" promotion and suddenly a surfer dude came surfing (on a mechanical and ocean wave board build up) on a orange surf board, the crowd went OOOO!!! The Balloons came down and a short performance started. Everyone was clapping and the photographers went snapping away. official launch of "Petronas The Road to Rewards"
Now "The Road To Rewards" program will kick start on 1st Nov, 2010 until Feb 15th, 2011 as a part of the company's effort to reward its customers. Customers with a minimum spending of RM30 at any Petronas stations nationwide will get a chance to win up to RM3million in cash prizes including cash, PETRONAS Mesra points and Petronas cash gift cards. It don't just stop there coz Petronas Dagangan is also rewarding 252 customers spotted with the 'PETRONAS The Road to Rewards' Promotion Car Stickers to a SHOPPING SPREE done weekly! What shopping?! now I am awake! How much shopping can we do if we're spotted? A RM200 worth at Kedai Mesra! Just get the car stickers from any Petronas stations from next week onwards, stick it on your car and wait to be spotted. 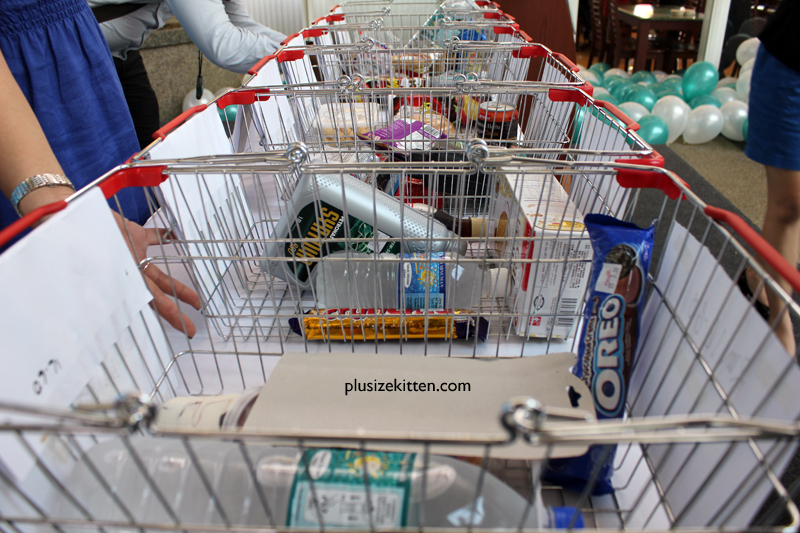 You could have a party of snack, drinks when u win the shopping spree! the 6 chosen shoppers = 3 guys vs 3 girls! you need to shop in 45 minutes, no sorry SECONDS! 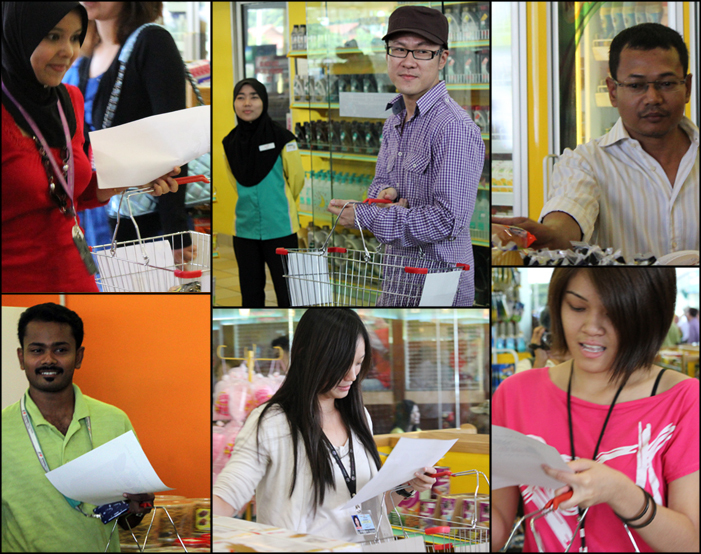 Now to show you a taste of the shopping spree, Encik Amir Hamzah Azizan Managing Director and CEO of Petronas Dagangan drew 6 lucky names from guests who attended this launch for a quick, no EXPRESS SHOPPING SPREE in 45 SECONDS of where a shopping list is given and the lucky 6 shoppers (no car stickers needed at this launch) and they have to rush into the Kedai Mesra, shop as fast as they could and get out! 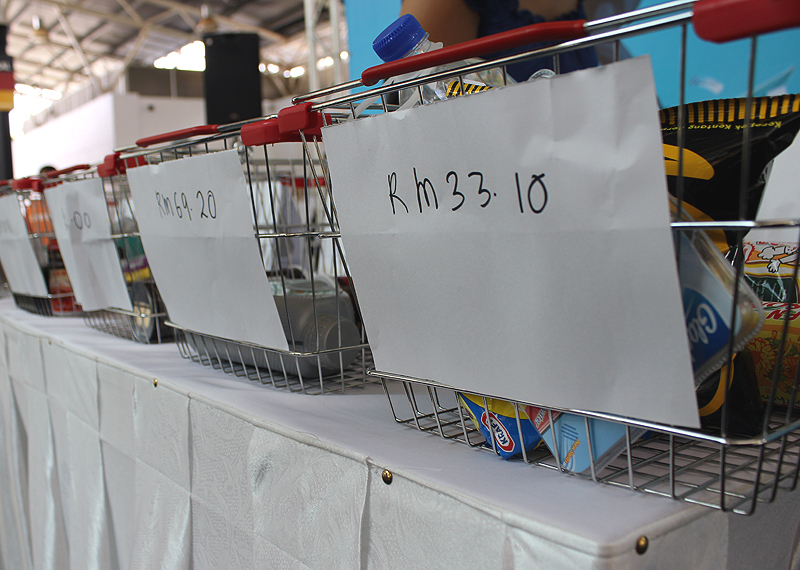 The one with the highest spending will win right away what's in their basket and a RM100 Petronas voucher. who can spend the most in 45secs? hmm could you have done better? I wonder what I would've have done if I was one of them? Could I have shopped till I drop in 45seconds? it's just too rush! Looking at them rushing in, frantically looking for the items in the list and not knowing what to get first, you'd probably get the first thing that come into your mind or what you see! Now a bucket of Hagen Daaz would not be in my mind when I think of ice-cream, but Jeff Chin's quick shopping bag him the highest among all the basket of purchases! He must be a big fan of Hagen Daaz, coz he was alerting the judges that his ice-cream is going to melt! JEFF CHIN from MYFM won! 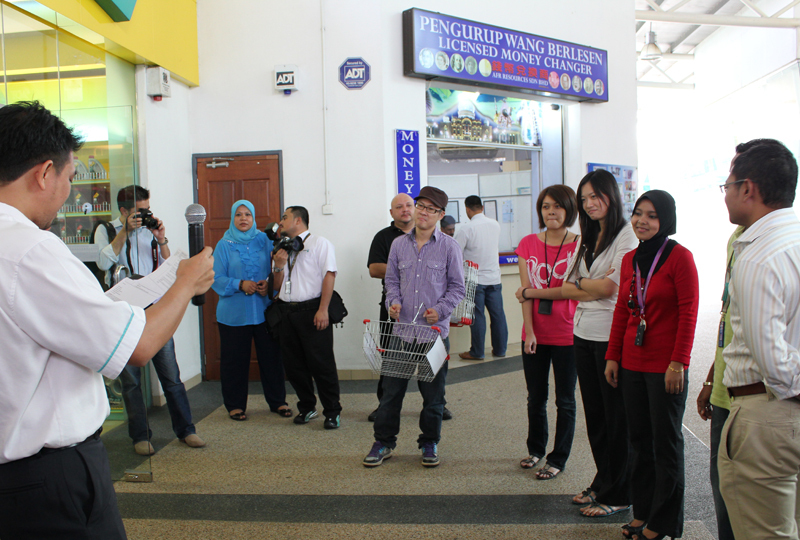 Congratulations to Jeff Chin from MYFM the first Petronas 45seconds Shopper to kick start the shopping spree fever! I hope he don't put a sticker again in his car so he can get spotted to win another basket of ice-cream! Give chance to us please! 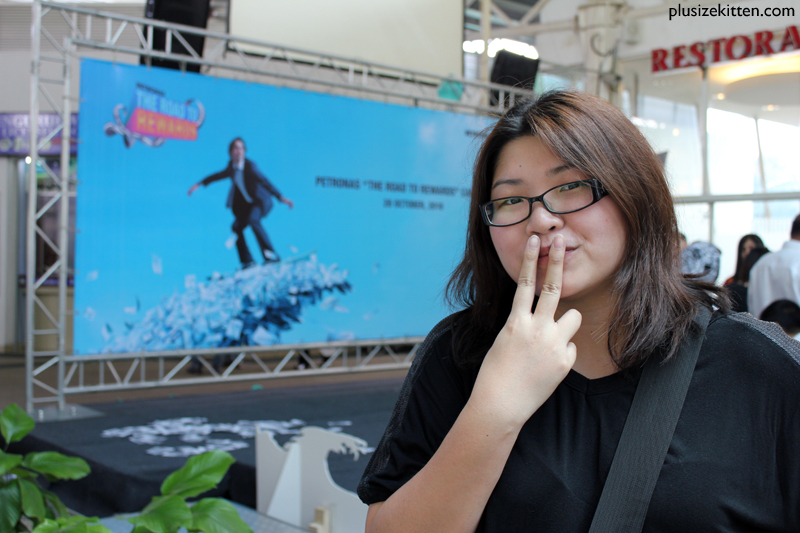 Petronas customers don't let Jeff Chin win anymore! 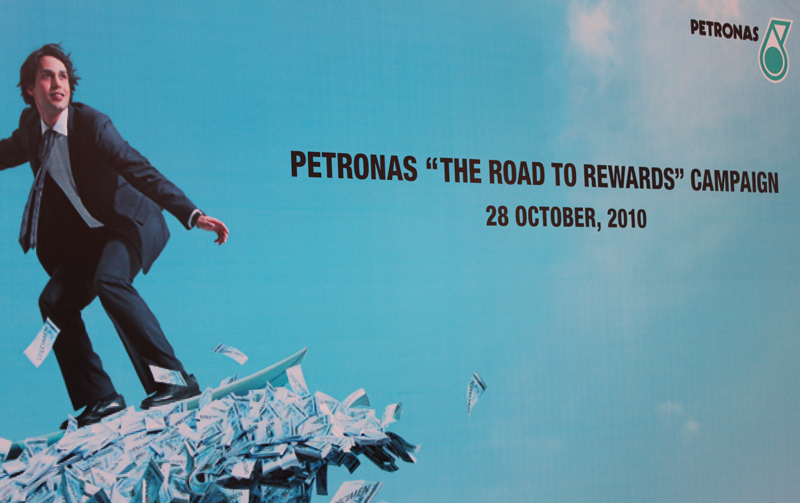 get your Petronas Road To Rewards Car Stickers so you can get spotted soon! and enter into the running for the cash prizes! Imagine wining the RM100,000, I will faint immediately. The Petronas "Road To Rewards" Program starts 1st Nov, 2010 to 15th Feb, 2011. For more information visit your Petronas station to bug them how you can win or MyMesra website here. 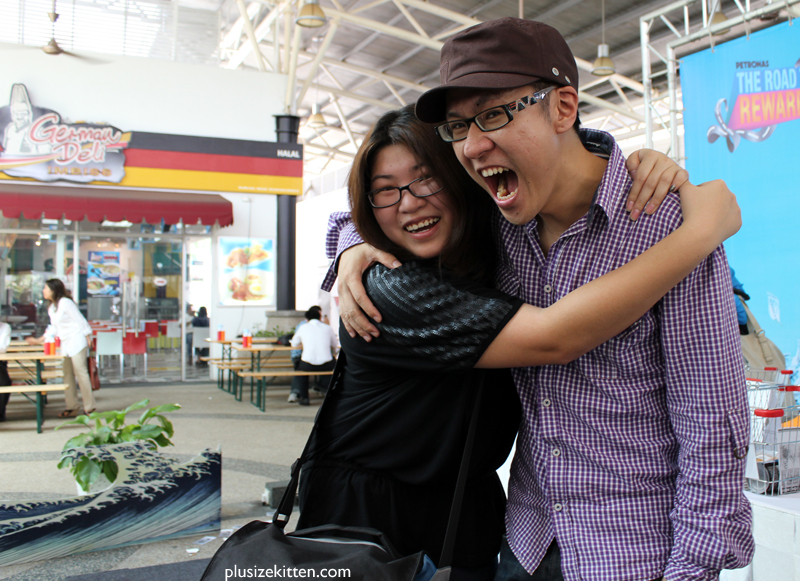 lol i told him about u loh, saw his fb status in ur fb the other day with u.. he also shock! !